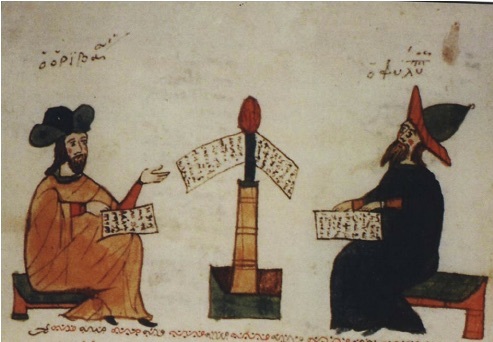 This month, we’re excited to collaborate with History of Knowledge to celebrate the upcoming conference, Learning by the Book: Manuals and Handbooks in the History of Knowledge. The five-day event takes place at Princeton in June and features a “blogged conference” to complement traditional panel presentations. For the next few Thursdays, the Recipes Project will cross-post selections from the conference (with RP readers noting the extended length, in keeping with HoK posts). These features are just a taste of more than thirty works produced for the conference, and readers are invited to read the full selection here. Enjoy! Ancient recipes are usually short texts; one can easily find more than one recipe written on a single papyrus sheet or on the page of a Byzantine manuscript. Despite their brevity, however, they open an invaluable window onto a wide array of techniques and practices used to manipulate the natural world. Ancient recipes could pertain to various fields of science and technology — from cosmetics to cookery, from agriculture to horse care. In this post, particular attention will be devoted to two contiguous and, to a certain extent, overlapping areas of expertise: medicine and alchemy. As we will see, the works of two important authors, Oribasius and Zosimus of Panopolis, reveal the ways that recipe collections forged new forms of knowledge transfer in the fourth century CE. These kinds of recipe books could be quite difficult to navigate, due to their lack of structure and fluid arrangement of the collected material. Readers often find no guidelines to assist them in the difficult task of locating specific procedures and techniques in a given collection. Moreover, these compilations often provide no information about the criteria for selecting and accumulating recipes. Important questions remain difficult to answer: to what extent does collected information correspond with the state and characteristics of a given discipline? How exhaustive is the selected material? To what extent were these collections used as reference works? Or were they local, produced by a single workshop or a scholar in contact with a small circle of artisans? What kinds of authority did the authors or compilers of ancient recipe books rely upon in selecting instructions to be included in their collections? The three “manuals” or “handbooks” mentioned so far (the Michigan Medical Codex and the Leiden and Stockholm papyri) date to between the third and the fourth century CE, a moment of transition when “traditional” bodies of knowledge were inherited, selected, and re-organized. This cultural transfer and rearrangement of texts and practices had a strong effect on the ways that recipes were transmitted and organized. This is especially evident in the works of two almost contemporary authors: the so-called medical encyclopedia by Oribasius (fourth century CE), physician of the Roman emperor Julian the Apostate, and the alchemical books by the Graeco-Egyptian alchemist Zosimus of Panopolis (third-fourth century CE). On the one hand, these authors had to cope with an already rich and well-established tradition. Oribasius regularly exploited Galen’s huge medical corpus as well as the works of many other (less known) physicians. He extracted passages and quotations from earlier, authoritative writings and re-arranged them to build his own compendia. Even though less systematic, Zosimus’ approach to early authorities is equally dense. He constantly refers back to those figures of the first and second centuries CE who were identified as the founders of the alchemical art: Pseudo-Democritus, Maria the Jewess, and Pebichius, to name but a few. Both Oribasius and Zosimus shared a similar effort to systematize their fields. They were similarly committed to developing strategies in selecting and legitimizing the technical recipes they re-organized in their own works. A fresh comparison of their writings with the almost contemporary recipe books mentioned above can help to highlight these strategies. In fact, it is possible to track the movement of some recipes from the “manuals” on papyrus to the new, more exhaustive works of Oribasius and Zosimus. Recipes were attributed to authoritative figures and organized in sections devoted to specific areas of expertise: the treatment of a single disease, for instance, or the description of a particular craft. Explanatory sections introduced the recipes, thus providing critical information for situating the copied procedures in a broader (either technical or theoretical) context. On the one hand, the combination of theoretical parts with bodies of recipes anticipates the structure of Latin alchemical handbooks in the Middle Ages. [viii] On the other hand, the tendency to be as exhaustive as possible could lead these authors to write vast treatises that were difficult to handle for a practicing physician or alchemist. Oribasius was certainly aware of this risk. He wrote a summary (Synopsis) of his Medical Collections for his son Eusthatius: “for when they (i.e. professional physicians) read what I have stated concisely and in outline, they will remember the whole of each field of knowledge, and without having to carry with them a heavy weight it will possible for them to be sufficiently equipped with what is needed in practice.”[ix] Meanwhile, Oribasius’ summary is presented as a kind of “portable” reference book. This perhaps suggests the meaning of modern terms “manual” or “handbook,” given that the Greek word encheiridion (usually translated as “manual, handbook”) never occurs in the texts considered here. 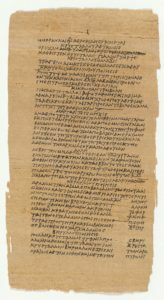 Exhaustiveness, acknowledgment of the authority of earlier authors, and clear organization of the material around key areas represented important goals in Oribasius and Zosimus’ works, which reorganized recipes that we find scattered in “manuals” on papyrus. 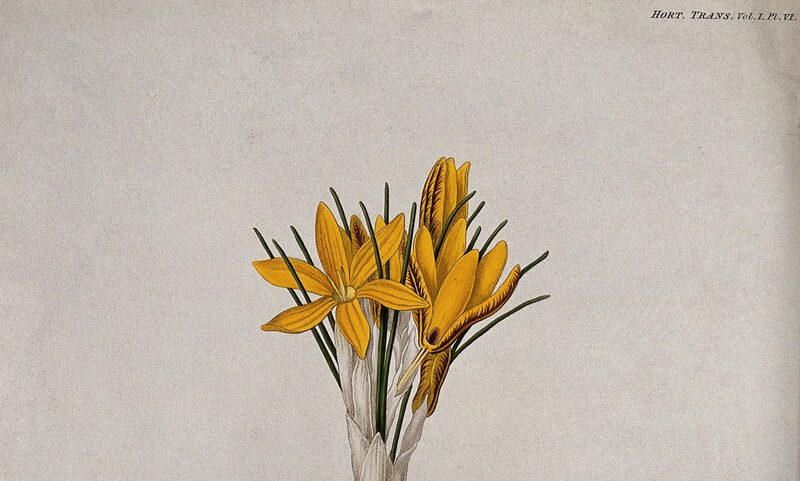 They tried to secure medical and alchemical practices against the risk of being fragmented and dispersed in a variety of recipe books, thus producing crucial writings in the study and transmission of these disciplines. [i] Galen, On Avoiding Distress (De indolentia), §§ 32-33, trans. Vivian Nutton in Peter N. Singer, Galen: Psychological Writings (Cambridge: Cambridge University Press, 2013), 87. [ii] Recipes 122 and 172 in Scribonius Largus, Compositiones, ed. Sergio Schonocchia (Leipzig: Teubner, 1983). 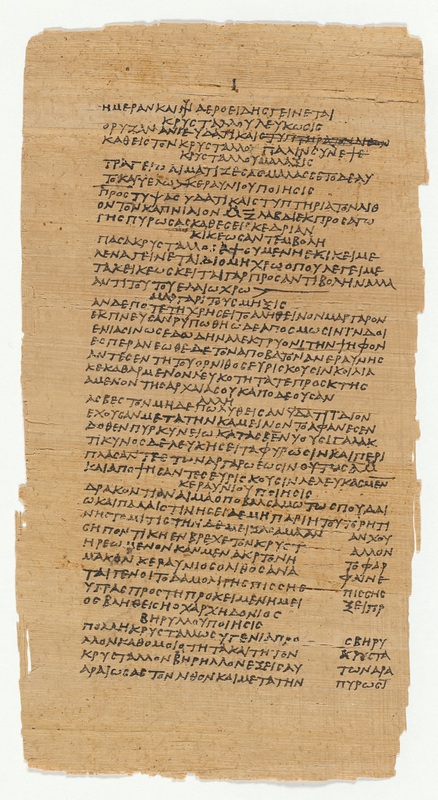 [iii] The extant fragments of this codex have been edited by the American papyrologist Louise C. Youtie in a series of articles for ZPE (Zeitschrift für Papyrologie und Epigraphik). Later on, these editions were republished in a single volume by Ann Hanson in Lousie C. Yountie, P. Michigan XVII, The Michigan Medical Codex (P. Mich. 758 = P. Mich. Inv. 21), ed. Ann Hanson (Atlanta: Scholars Press, 1996). [iv] See, for example, Mark Clarke, “The Earliest Technical Recipes. Assyrian Recipes, Greek Chemical Treatises and the Mappae Clavicula Text Family,” in Craft Treatises and Handbooks: The Dissemination of Technical Knowledge in the Middle Ages, ed. Ricardo Córdoba (Turnhout: Brepols, 2013), 9-32. [v] Greek text and French translation in Robert Halleux, Papyrus de Leyden, papyrus de Stockholm, fragments de recettes (Paris: Les Belles Lettres, 1981). Both papyri were translated into English by Earle Radcliffe Caley: “The Leyden Papyrus X: An English Translation with Brief Notes,” Journal of Chemical Education 3.10 (October 1926): 1149-1166 and “The Stockholm Papyrus: An English Translation with Brief Notes,” Journal of Chemical Education 4.8 (August 1927): 979-1002. A reprint of both translations (edited by William B. Jensen) is available here. [vi] Oribasius, Medical Collections, introduction (CMG VI.1,1, p. 4 Raeder). 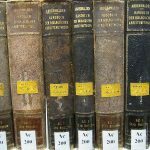 English translation in Philip van der Eijk, “Principles and Practices of Compilation and Abbreviation in the Medical ‘Encyclopaedias’ of Late Antiquity,” in Condensing Texts – Condensed Texts, eds. Marietta Horster and Christiane Reitz (Stuttgart: Franz Steiner Verlag, 2010), 526. [vii] For a French translation of extensive sections of these Syriac books, see Marcelin Berthelot, Rubens Duval, La chimie au Moyen-Âge, Vol. 2: L’alchimie syriaque (Paris: Imprimerie nationale, 1893), 210-266. [viii] These are so-called medieval pratica, a well-organized description of series of procedures opened by a general introduction and often complemented by a theoretical part (theorica). See Robert Halleux, Les textes alchimiques (Turnhout: Brepols, 1979), 80-81. [ix] Oribasius, Synopsis, introduction (CMG VI.3, p. 5 Raeder). Translation in Eijk, “Principles and Practices of Compilation,” 529. Join the conversation on Twitter with the hashtag #lbtb18. Tweet or email links to related discussions. Read more posts in this series, and check out the conference website.